A man walked into a room, and there were three doors. The first door had a sign which read "Lion's Den." The second door had a sign which read "Mountain Top." The third door had no sign, yet the man knew exactly where it went. How is that possible? The third door is the door that the man entered through. 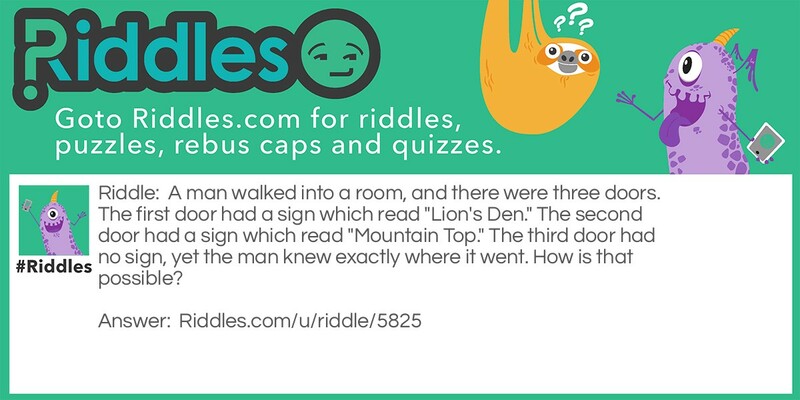 The Three Doors Riddle Meme with riddle and answer page link.